So it’s been twenty five years since my last visit, but I found myself in Florence with a leisurely afternoon to fritter away. So I zoomed down the via Calzaiuo from the Duomo to the Uffizi and bypassed the queues, got free entry and even a private entrance… paraplegia has to have some advantages. 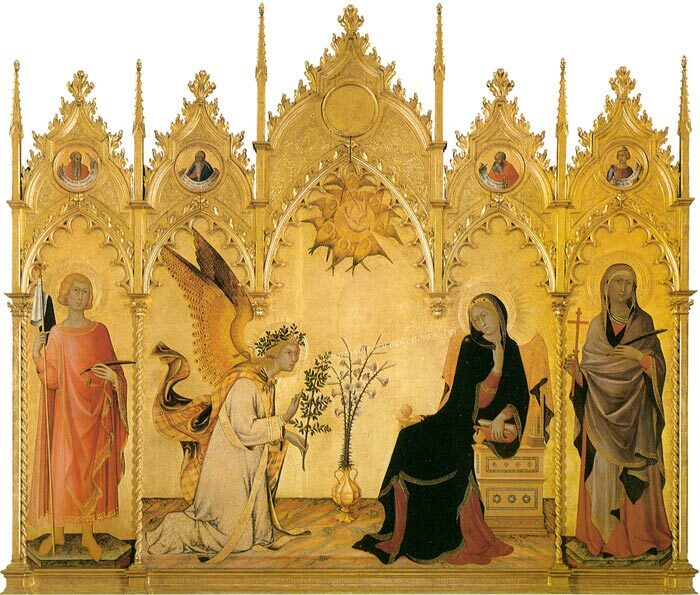 My main goal was to see Simone Martini’s fabulous, glistening gold Annunziata again and I did, finally (it has been moved to the very last room of the gallery). But in between, so many things I had forgotten – charming Medici portraits by Bronzino, Primaverde by Botticelli and a magnificent tondo by Michelangelo; Leonardos, Lippis, Bronzino, Ghirlandaio, Piero della Francesca and on and on. 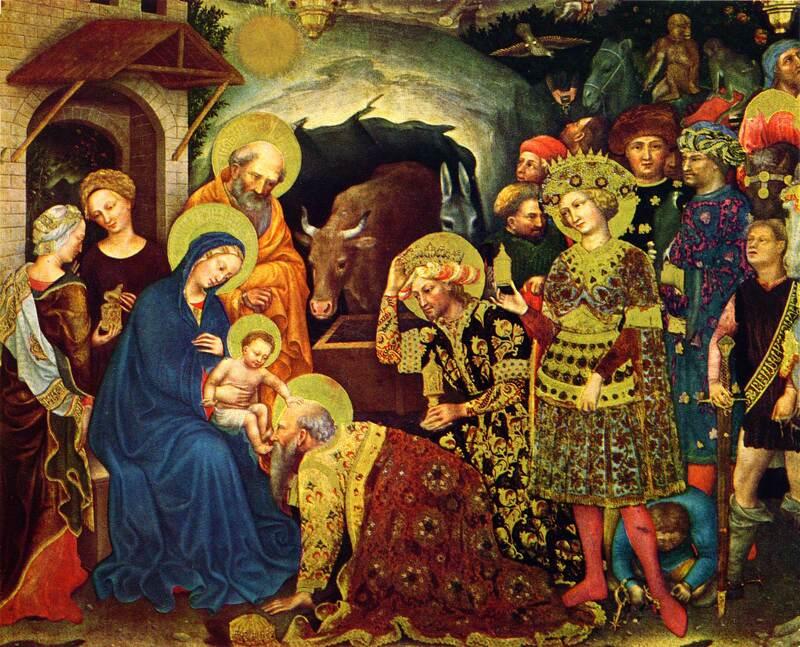 But perhaps if there was one revelation it was Gentile da Fabriano‘s Adoration of the Magi; commissioned by the Strozzi family in 1423. It is work of such richness, magnficence and depth that it is astounding. The image linked here does no justice to work in situ. It got me thinking that in many ways, Tuscan 15th century quattrocento painting surpasses even the high renaissance the zenith of Leonardo, Raphael and Michelangelo. The technical and stylistic advances in a matter of twenty years or so was phenomenal; Giotto was revolutionary, but the generation that followed took things to a level incredibly advanced. Suddenly Byzantium fused with the Gothic north, the Netherlands and a whole new intellectual view. Phenomenal. 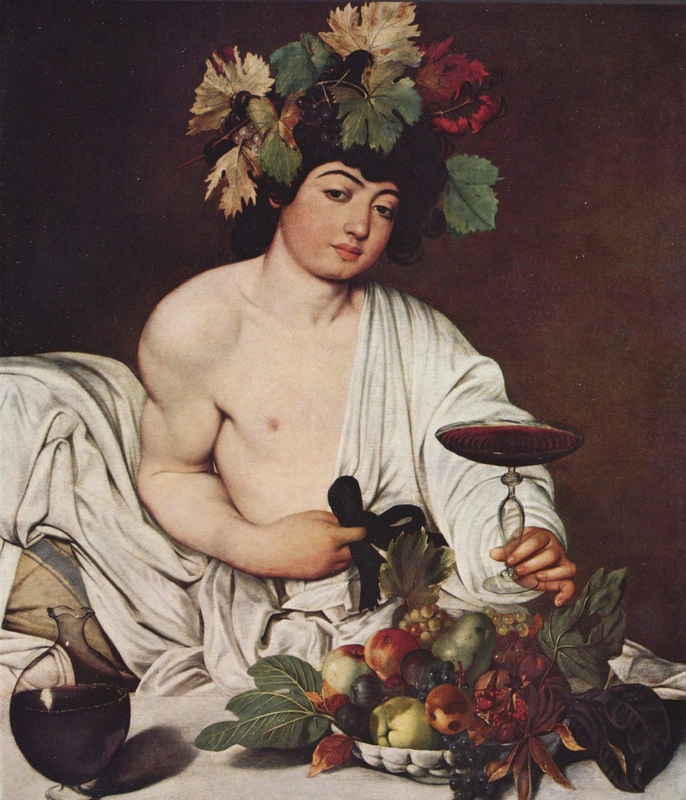 There is a fine collection of Carravagio also, but I have to say that Bacchus picture has never done it for me. It’s kind of creepy. Funny that. And two really odd things – the slightly dispiriting hordes of entirely disinterested youth, cruisng the corridors and using up oxygen, entirely disengaged from anything but their smartphones, and by extension the weirdness of “selfies” in front of the world’s greatest pictures. It’s a whole new take on “been there, done that…” A photograph of me, not looking at what I am trying to immortalize myself with. Back to front, or what? For my own part I spent three and half pleasure laden hours refereshing myself of late medieval glory. Oh to be a Medici!..but I guess an Antinori or a Frescobaldi is not so bad either. And they are still around.